First Lady Michelle Obama took her Let's Move campaign to the Tonight Show with Jimmy Fallon. 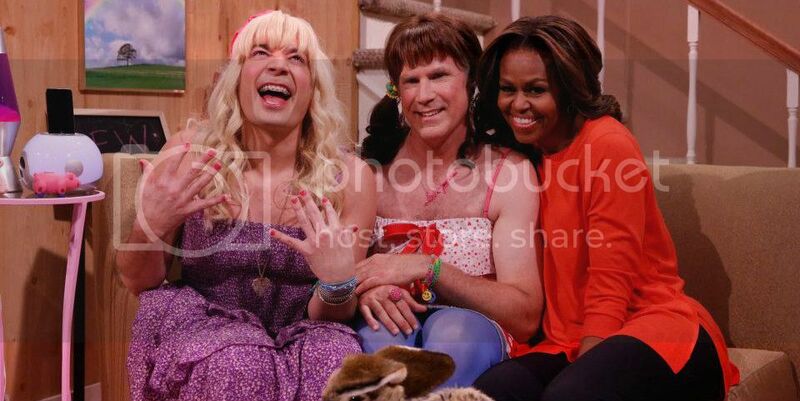 She starred in a sketch where Jimmy Fallon and Will Ferrell played teen girls. Mrs. Obama swoops in to teach the girls about the benefits of healthy eating.